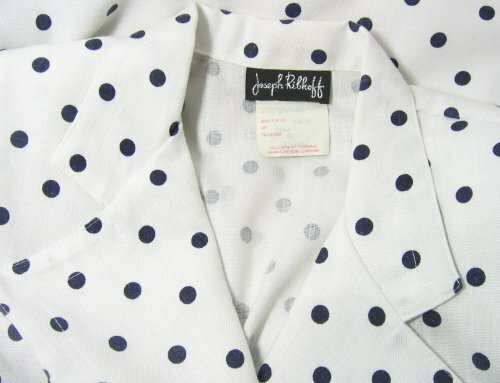 Vintage Joseph Ribkoff Navy Polka Dot Suit - Sensational Style! 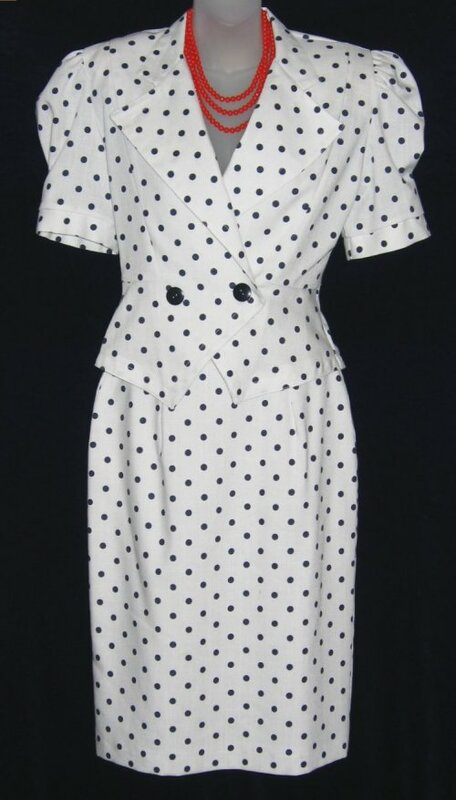 SENSATIONAL STYLE in this 2 piece polka dot beauty by JOSEPH RIBKOFF! 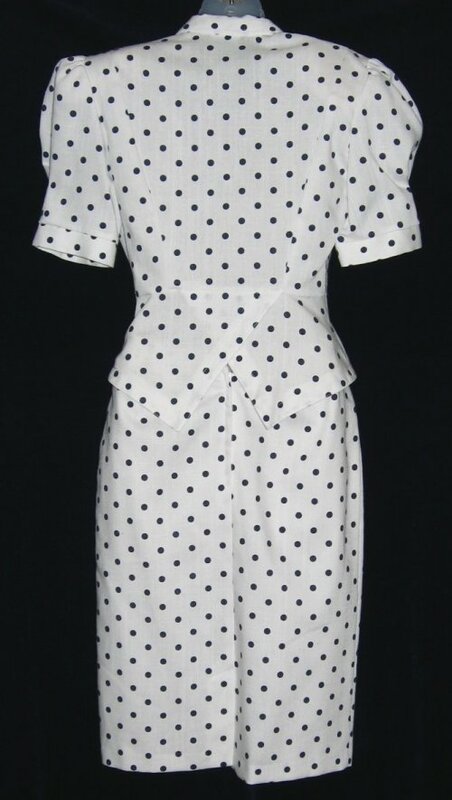 Dark navy dots on white - the textured material gives this suit the appearance of linen even though it is 50% polyester and 50% rayon. Notice the diamond point jacket front. The suit has great contouring lines, made to flatter. Puffy short cuffed sleeves, wider lapel to hold the vintage brooches, and an open back kick pleat. The skirt has a hidden back zipper with button closure and side elastic on the waistband for better fit. Note the fabric has the appearance of linen slubs, so it may appear to have some pilling, but this is the fabric texture. Accessories not included. Size - 5 on tag. Bust - 36", Waist - 30", Shoulder to shoulder - 16", Back neck center to bottom hem point - 24". Waist - 28-32", Hip - 38". Waist to Hem - 25".